Those Who Don’t Work Don’t Eat: The Use of Franchises as an Alternative to the Regional Center Aproach | The Law Offices of Yuri Tsyganov, P.L. Banks use information about the failure/success rate of every franchise in the U.S. to determine whether or not to loan start-up capital to a new franchisee. A foreign investor has the ability to rely on the same data used by banks to determine which franchise opportunity presents the best option for job creation and profit margins. Of course, everyone’s appetite for risk is different, and that is why the investor can choose a franchise that has a low percentage of failure. In the next six to twelve months, banks will also significantly decrease the amount of funds that they will lend to perspective franchisees, thus creating a “perfect-storm” for foreign investors seeking to obtain immigration benefits through the use of the EB-5 visa. Bringing $500,000 to the table, may allow the EB-5 investors to combine their cash-infusion with a bank loan to “hedge” their investment and potentially work with a franchise which requires a larger sum of start-up capital. The State of Florida is already considered to be the “mecca” of EB-5. Now it is becoming a haven for EB-5 based franchise projects. At the Law Offices of Yuri Tsyganov, PL we have worked with numerous Regional Center based franchise projects, as well as “direct” investors who have used the franchise based EB-5 model to obtain immigration benefits. 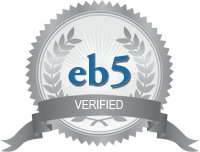 Please visit our website http://eb5investgreencard.com/ to learn more about the EB-5 visa.